Last weekend I was in Cannes at the iconic InterContinental Carlton Hotel to host the TV industry’s Content Innovation Awards 2018. The awards fall on the eve of MIPCOM TV, the annual television industry marketplace in which networks from around the world buy and sell the shows we watch. Categories at this year’s awards included best entertainment format, best use of social media, best VR project as well as recognition for outstanding contribution in the industry. It was my first time in Cannes, and I had a terrific time at the awards helping the industry to celebrate its successes. 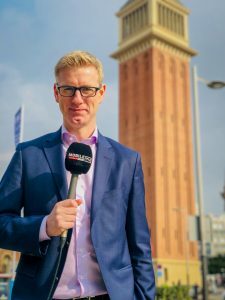 I’m very grateful to the team at Informa, Television Business International and Digital TV Europe for asking me to host this year’s prestigious event. The new series of Rip Off Britain – series nine! 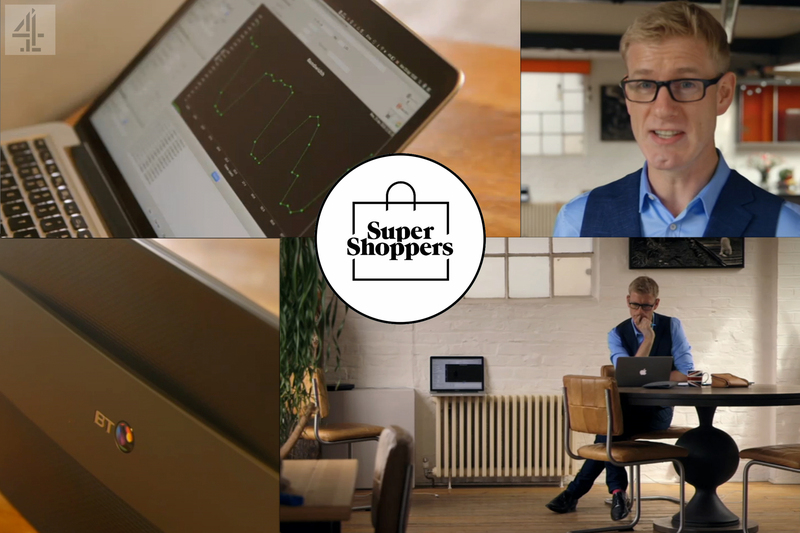 – began on BBC1 this month and once I am on-hand as its resident technology expert. Car crime has largely moved on from the coat hanger and hot-wire days of old, with crime rates decreasing by 80 percent since 1993 according to the Office for National Statistics. However, a new wave of tech-savvy car criminals is now making easy work of making off with many makes of car. I’ve been following the high-tech car crime trend closely, trying to understand the ways in which criminals are able to bypass or subvert car keyless security systems – whether through signal amplification, wireless jamming or keyless code capture. Criminals often steal to order, targeting high-value vehicles that are driven to so-called ‘chop-shops’ and sold on for parts. Next week I travel to Glasgow for BBC Rip Off Britain Live. I find the live shows particularly enjoyable because we are able to be responsive to news stories as they break. As such, I can’t say yet exactly which stories I’ll be covering, but I believe we’ll be discussing how the Internet of Things has made our homes vulnerable to hackers. BBC Rip Off Britain airs on BBC1, weekdays 9.15-10.00. Watch here on BBC iPlayer. David McClelland joins the BBC X-Ray team for a photography summer special. As regular visitors here may know, I’m a photography nut. Naturally, I was very excited to be asked to be part of the BBC One Wales X-Ray Summer Special on how to make the most of your camera. I was pleased too that a primetime TV show had dedicated its slot to talk about photos – after all, with smartphones in almost every pocket now, snapping photos is something that many of us do all the time. The show also looks at how to take better pictures with your smartphone, how to get great footage while safely flying a drone, and how the National Library of Wales preserves its priceless collection of photos. UK licence fee payers can watch the whole BBC One Wales X-Ray episode on BBC iPlayer. 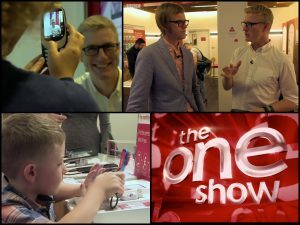 This week I appeared on BBC1’s The One Show sharing advice on how parents can help their children to develop healthy habits when using smartphones and tablets. For the film, we visited a high street phone store and let a dozen under-elevens loose to observe how they used the selection of phones and tablets on display. I’m a dad, and like most parents, I feel as if I’m making it up as I go along – which, of course, I am. How I introduce my children to technology is no exception. Understanding a little about how children develop, what their needs are at different ages, and how easily influenced they are by adults around them, can all help make sure that children – and their parents – have a happy relationship with gadgets. Technology offers amazing opportunities but, for me, the old adage that ‘too much of a good thing is a bad thing’ stands as true with smartphones and tablets as it does with anything else. The One Show is on BBC1 at 7pm most evenings, viewers in the UK with a television licence can watch here. It’s London Tech Week 2017 and all week I’m fronting Tech TV, the festival’s official broadcast channel. Richard Browning, the founder of Gravity, built the rocket man suit with the help of friends over eighteen months and is already a world record holder with it. Richard spoke live on the main stage at #LTW before heading outside and giving us a demo. 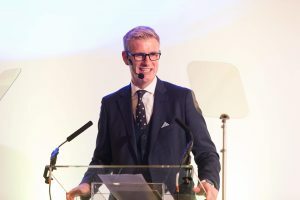 Now in its fourth year, London Tech Week showcases the capital’s bustling technology scene, bringing together cutting-edge developments in 5G, VR and AR, AI and Machine Learning, Connected and Driverless Cars, and more.